This Baja-style Shrimp Ceviche is summer’s new best friend! Ceviche is one of my favorite healthy lean proteins and no cooking means this is an easy protein to prepare. Fresh and tasty shrimp and mixed with spicy, crunchy vegetables makes it easy to eat. 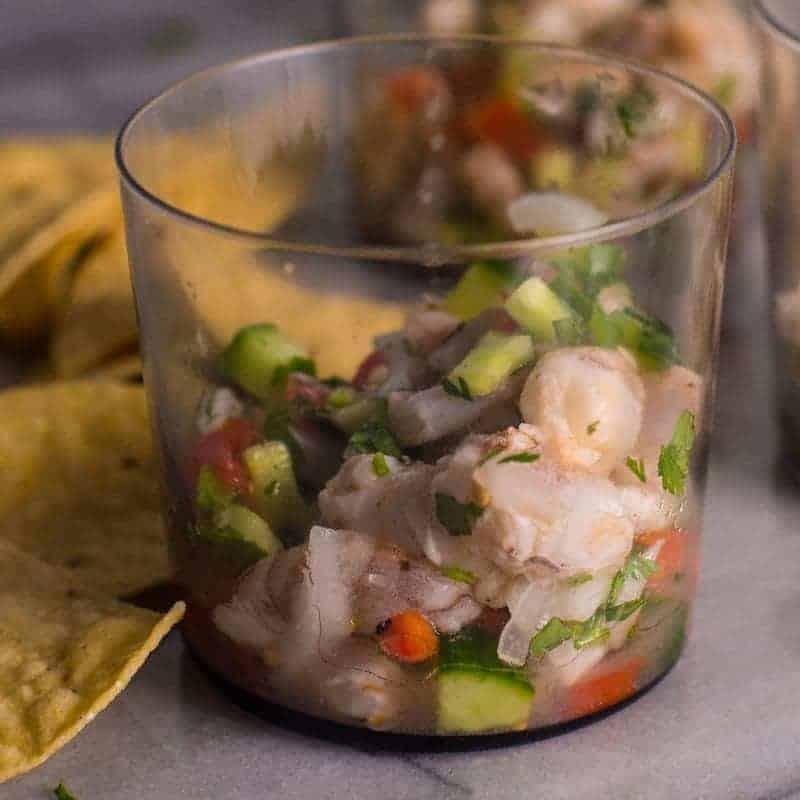 Ceviche can be made with almost any fresh fish or shrimp. Traditionally, the fresh seafood is cooked by the citrus juice, no heat needed. If you’ve never made ceviche this way, we definitely recommend giving this a try. If you really can’t convince yourself to cook seafood with just lemon juice, go ahead and use cooked shrimp. We’ll only slightly judge you – crazy germaphobe! 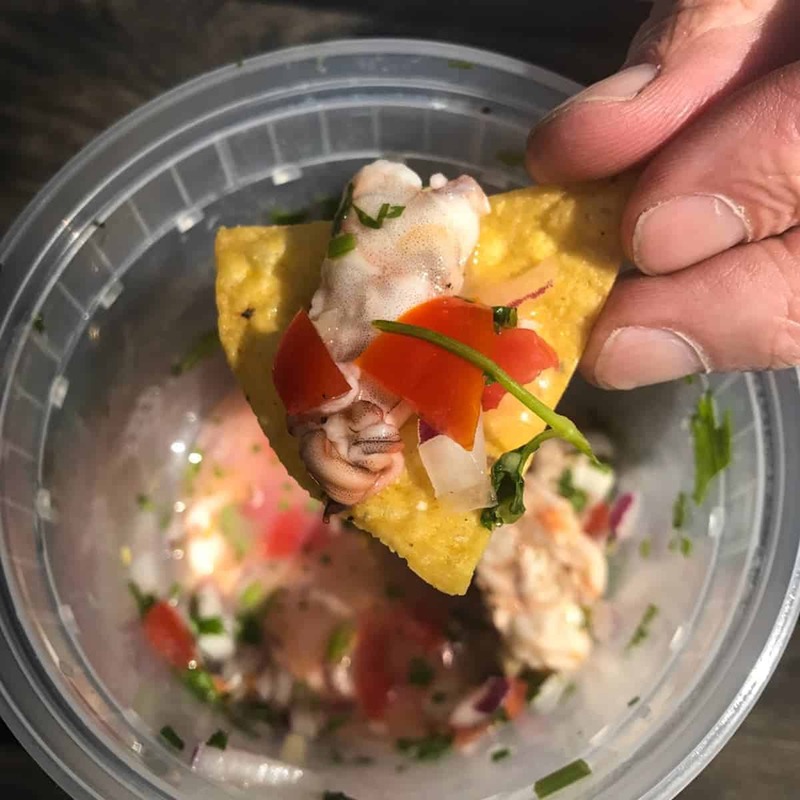 Here is my ceviche from last year’s trip, so perfect and cold after setting up the tent and our campsite in the summer heat. Next Post: Barbecue Pork Skewers with Peach-Bourbon Barbecue Sauce.